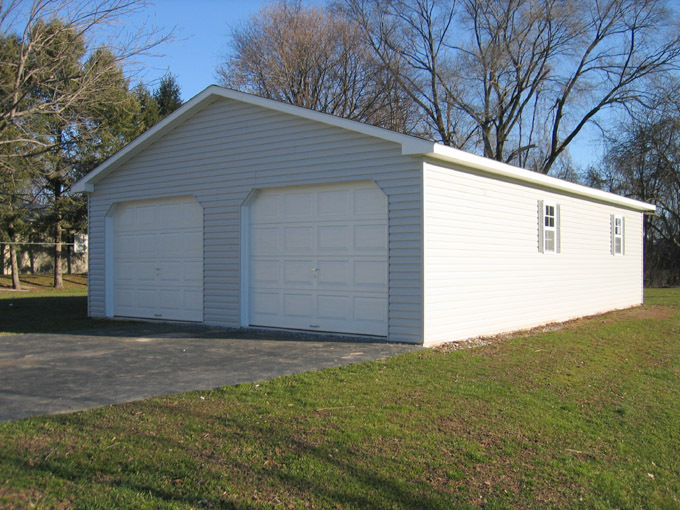 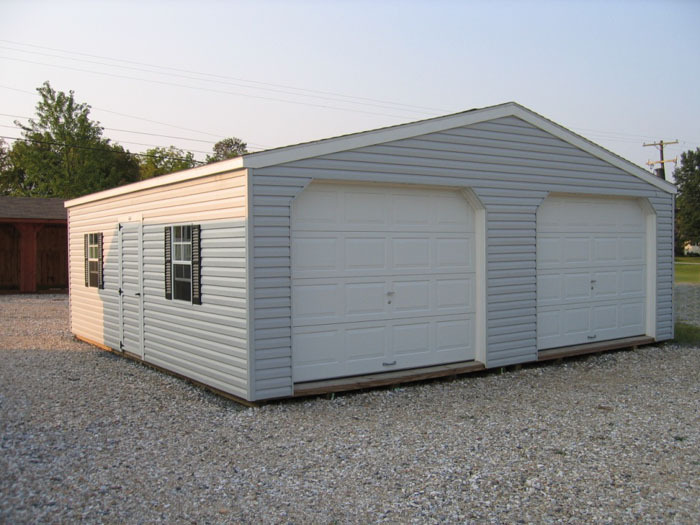 The Doublewide Garage includes two 9x7 over head doors, 2 windows with shutters, single entry door, and heavy duty floor. We build quality 2 & 3 car detached garages. 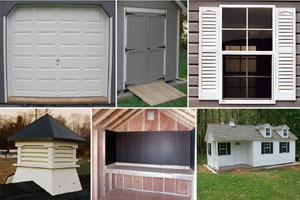 Let us know what size you want, and we will build it for you. 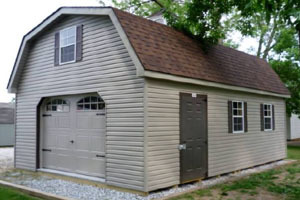 The 2 Story Garage is your most complete storage unit by providing multiple levels of accessible space. 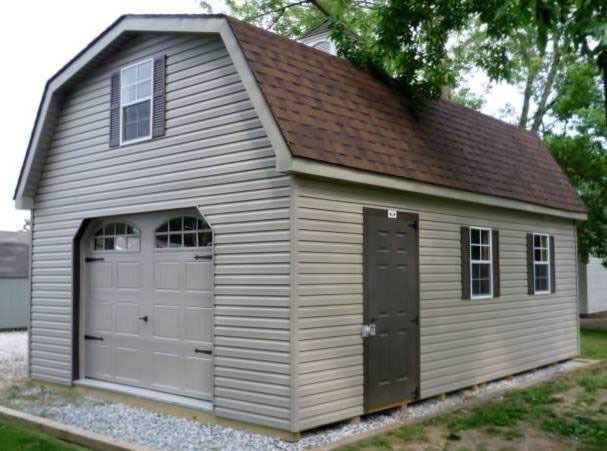 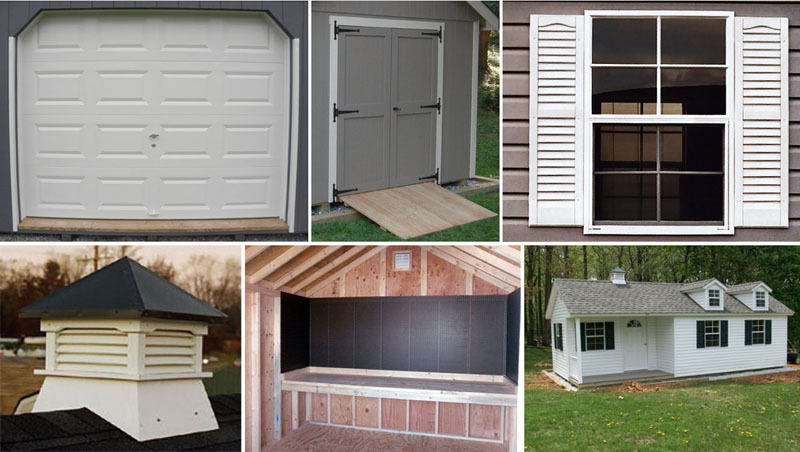 Customize your garage with our optional accessories and upgrades including doors, windows, cupolas and more.